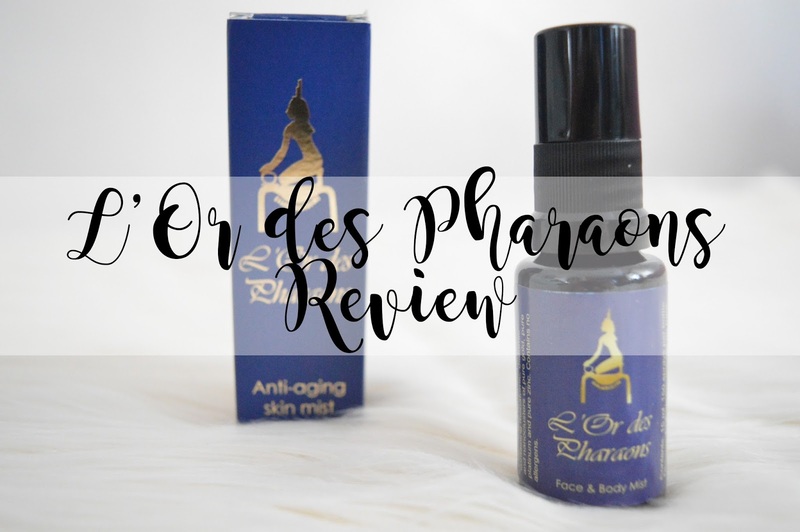 A while ago I was kindly sent the beautiful L'Or des Pharaons face mist by Ashleigh from Alex Silver PR and I couldn't wait to start using it, I have even had my mum using it too! So I was very intrigued about this product as it's definitely something I have never seen before. However, even now I'm still very unsure about it but I have to be completely honest with you all! I do love how this product isn't scented and does not include any perfumes as you find so many anti-ageing products out there which include so many chemicals which probably aren't good for your skin at all. defying the effects of time!" It's an easy product to use, you simply spray it onto your face and skin once you have washed your skin using a cleanser or face wash. It dries extremely quickly and it does not have a scent or any perfumes added too it. Therefore, we have not had any skin irritations from this product. Simply wash your face and pat dry using a clean towel. Pump five sprays onto your face and neck and leave to absorb/dry. Apply your favourite eye serum and day cream and get ready to apply your makeup! After the amount of time using this product, we haven't seen any visible results. Although it's anti-ageing, if this product works I can imagine you would have to use it for possible years before you see a difference. I'm not entirely sure how products like this are supposed to work, but I would love to find out! My mum found she might as well have sprayed water on her face. It looks like water, it smells like water and she hasn't seen any physical results as of yet. Apart from that, we haven't found any bad things about this product. Honestly, if you're interested in anti-ageing products such as this and you want to try a product for a long period of time then feel free to do so! I personally wouldn't purchase this as a gift for anyone as from using it for a couple of months it hasn't made a difference to mine nor my mum's skin. Do you see visible results? Or do you only find out that it works when you don't age? How does this product work? I honestly have no idea. Have you tried this brand before? Have you seen visible results? If you haven't, will you now?